☆☆☆☆ “The epitome of what Hollywood calls high-concept story-telling. A plane takes off from an airport in the Caribbean one afternoon and, despite a little rough weather, arrives seemingly intact in New York … five and a half years later. If that sounds weird but not particularly threatening, a few minutes of Manifest will change your mind.” — Reason. ☆☆☆☆ “Adds up to a Lost look-alike that, while it lacks the vision evident in ABC’s classic from its earliest moments, is better than it could be. There’s plenty of grade-A corn here … And yet the ambition on display is admirable … A true puzzle-box show of the sort that cable and streaming — with series like Westworld and Maniac — have lately made work so well ought to have a home on broadcast.” — Variety. ☆☆☆☆“Manifest, which comes from executive producer and Oscar-winning director Robert Zemeckis, Jack Rapke, Jeff Rake and Jackie Levine, has all the right ingredients to develop into a sci-fi thriller or perhaps a divine-intervention drama … Many bread crumbs point toward a potentially addictive series if Manifest allows its gripping supernatural narrative to rise above its characters’ less interesting personal dramas.” — Los Angeles Times. ☆☆☆☆“It’s possible the show will blossom into a spiritually engaging and action-packed drama. I’m skeptical about its long-term promise, though, because whatever premise, whatever mystery, whatever saga a show tries to create still rests on the viability of its characters, on how much they seem like people worth spending time with. And no one here feels like a person in the first place.” — New York Times. 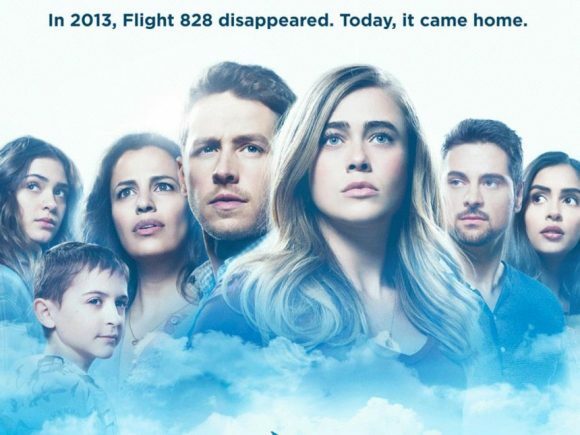 ☆☆☆☆ “The premise is certainly alluring, which is why it’s so disheartening to discover Manifest’s lack of imagination or intuition … A viewer who might have been interested in the human element is instead served a cold plate of mystery meat — not the new Lost, but a feeble throwback to forgettable failures such as The Event.” — The Washington Post. Gave up on it after 4 episodes.